You can find us online at alwaystakenotes.com, on Twitter @takenotesalways, and on Facebook atfacebook.com/alwaystakenotes. 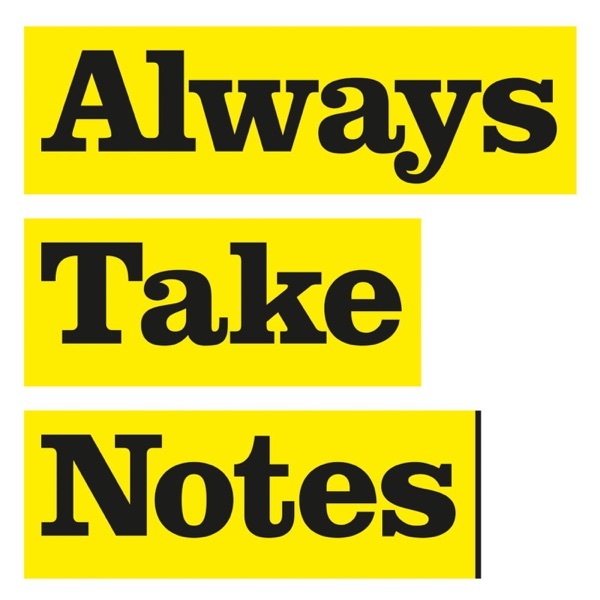 Always Take Notes is presented by Kassia St Clair and Simon Akam, and produced by Olivia Crellin, Ed Kiernan and Elizabeth Davies. Ed Kiernan edited this episode. Zahra Hankir is our communities editor and deals with all things social media. Our music is by Jessica Dannheisser and our logo was designed by James Edgar.